I attended HubSpot Agency Sales Bootcamp. Here are the major takeaways from the 12 agency leaders in attendance. Imagine that you just met a potential client for the first time at a local networking event. I attended David Weinhaus and Dan Tyre’s excellent HubSpot Agency Sales Bootcamp last week, and that is one of the first questions that David and Dan asked the audience. The two had been top performing sales leaders for years at HubSpot, and they now run a series of sales bootcamps to help inbound marketing agencies with every aspect of the sales process. They seem like good answers, right? After all, EVERYBODY wants to make sure their marketing actually leads to revenue. At the end of the bootcamp, each agency leader shared the biggest change that they plan on making in their own sales process. Here are their top action items from each attended, grouped by topic. 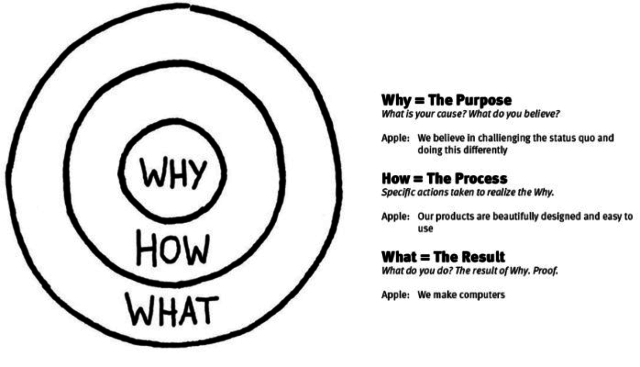 This concept is similar to Simon Sinek’s Golden Circle. When we went around the room at the beginning of the bootcamp, every single agency had a “how”-centric pitch, the second sale. In other words, they were immediately sharing the tactics they use to grow their clients’ businesses. Here is the problem with that, though… by starting with the second sale, you miss the opportunity to connect with a prospect at a deeper level and prove that you care about their goals. Pretty much any agency can start with a tactics-oriented pitch. But, when they do, a prospect will be more likely to choose a provider based on price, rather than value. Agency leaders learned how to “start with why” before getting into value that the business MIGHT want. This is similar to the idea of asking about “why”. David and Dan recommend that you try and learn as much as possible about the client’s goals for the year. This helps in two ways. It weeds out tire-kickers. If a prospect cannot name any goals for the year, they are probably not going to be willing to pay for real marketing services. It proves that you are focused on delivering value, not just services. For example, let’s say that the prospect tells you that they want to grow by 15% this year. That piece of information will help you craft your entire proposal around their annual goal. If you do embrace a goal-focused sales process, make sure you have a system in place to track all your goals and report progress to goal once you sign on a client — like Databox’s free Smart Goals feature. In our experience at Databox, too many agencies sell prospects on their ability to set and hit marketing goals, but fail to actually deliver on that promise. 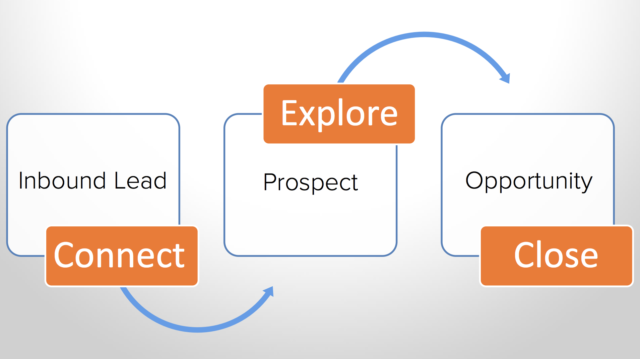 It can always be tempting to skip steps of the sales process when it feels like “this one prospect is different.” But, that’s a dangerous exception to make, especially if you’re willing to skip different steps with different prospects. Why? It’s tough to tell what you’re doing wrong when you change the steps for every prospect. They recommend these 3 steps always: Connect, Explore, Close. This goes way beyond BANT, although that is an important part of it. It also includes the technology that you use in the agency sales process, the prospect’s willingness to share their internal data and their commitment to hitting their annual number. If the client is not willing to give you access to their Google Analytics data, how will you be able to give them advice and build a customized proposal? If the client does not open or read your proposal, are they really still interested? There is one lesson I learned that no one included in any of their responses. With that sentence, you immediately turn the conversation from price-centric to value-centric.